Most of us carry a super computer in our pocket and we don’t even know it. More powerful than the computer used to put man on the moon. More advanced than the studio the Beatles recorded Abbey Road in. Able to communicate with just about any other human being on the planet. But yet, we would rather use it to play candy crush, take pictures of ourselves in the gym and show the world what we had for dinner. When awesome tools exist, should we not use them to make the world a better place? Creating something beautiful and worth sharing. 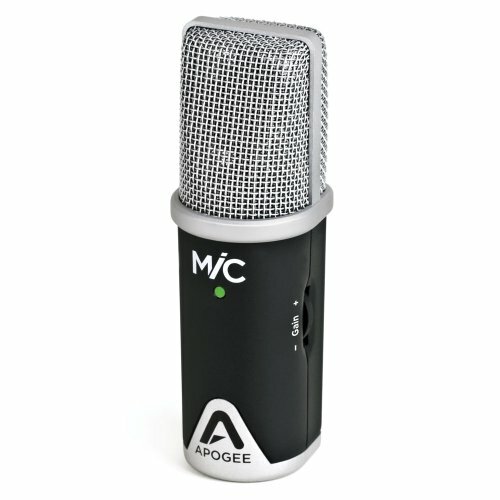 The Apogee Mic is a cool tool that I’ve come across that plugs into your super computer in your pocket and makes it better. If you are into home recording and want to make beautiful music, this one is definitely worth checking out.